Higher productivity. Improved retention. Increased revenue. If talent management is what drives these critical business imperatives, employee engagement is the accelerator that helps organizations achieve more, better, and faster. So how can talent leaders turn employee engagement from a fuzzy item on their “to do list” to an integrated, performance-driven business initiative? Employee turnover is inefficient and expensive, and traditional ways of managing employee performance are woefully out of date. In this webinar, we reveal techniques for managing high performers that can raise the performance of entire teams, as well as discuss software tools that can increase employee engagement and retention. In this webinar, Dr. Griffin Fernandez from The Educe Group will share best practices for implementing and driving adoption of learning management systems within colleges and universities. You’ll also hear from campus leaders at two top universities as they share their experience with implementing learning management systems. Sondra Hornsey, HIPAA Privacy Officer at Washington University in St. Louis, will discuss the human resources training requirements that drove the institution’s decision to implement Saba Cloud, while Dr. Michael Blayney, Executive Director of Research Safety at Northwestern University, will focus more narrowly on the unique requirements associated with university research compliance. Each will discuss the challenges that led them to seek out a learning management system, the planning and vendor evaluation processes, and how they have implemented Saba Cloud to achieve institutional goals and improve university business processes. Millennials are narcissistic, entitled, and the only way to keep them interested is by providing office perks made famous by Silicon Valley tech giants, right? Wrong. To remain competitive, organizations must understand – and respond to – the unique needs and demands of millennial workers. In this webinar you’ll learn strategies for evolving your talent initiatives to more effectively engage and retain the millennial workforce. In this webinar you’ll learn why (and how) leading companies are moving their learning strategies from "push" to "pull" models, enhancing the employee experience while reinforcing standards for critical topics like safety and compliance. L&D leader Lauren Clarke of Delaware North will also share her organization’s content curation journey and how they successfully implemented a pull learning strategy. Taking a collaborative approach to learning can help you better connect, engage, and retain your workforce, while at the same allowing you to achieve greater ROI from your L&D investments. In this webinar, you’ll discover why learning is most effective when it’s collaborative and ways you can foster a culture of collaborative learning within your organization. Collaboration is critical to keep employees engaged and productive. Watch this video to fond out how Saba can help you keep your employees engaged. 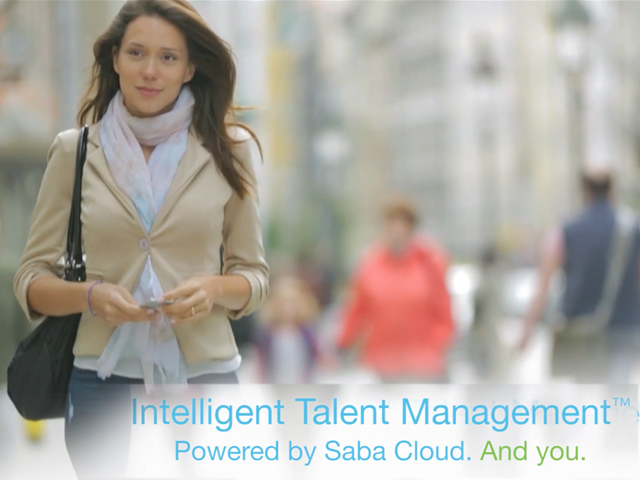 Saba’s suite of cloud-based talent management solutions are used by thousands of organizations worldwide to develop, engage, and hire their people. Saba Cloud's six applications — Learning, Performance, Compensation, Succession, Recruiting, and Workforce Planning — cover the entire employee life cycle. With an integrated set of solutions delivered via Saba Cloud, Saba delivers proactive, personalized recommendations on courses, candidates, compensation, career paths, and many other areas to help employees and organizations succeed.